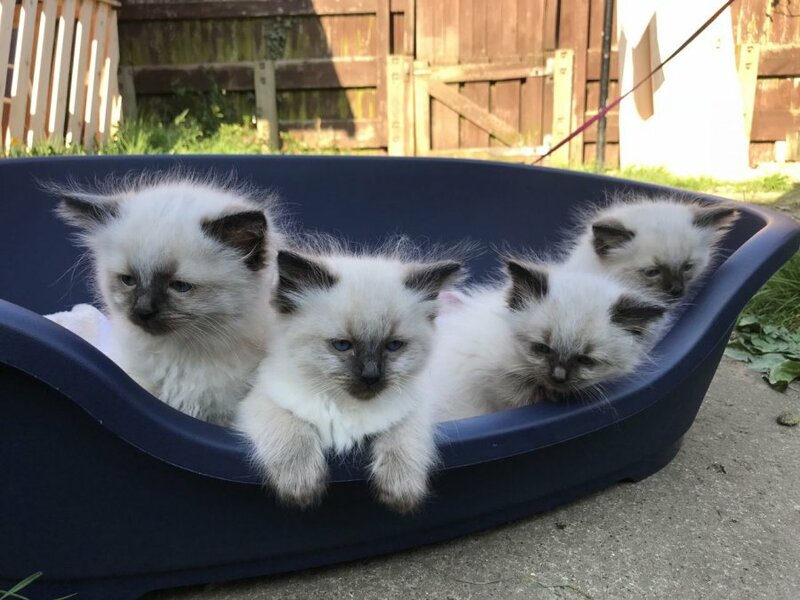 We have 4 beautiful pure rag doll kittens available for sale to loving homes only! 4 boys. They were born on 14th February (Valentines Day) :) Both mum and dad can be seen, as are our pets. Both parents tested against HCM and PKD (results to view). This litter have been wonderful.